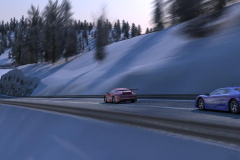 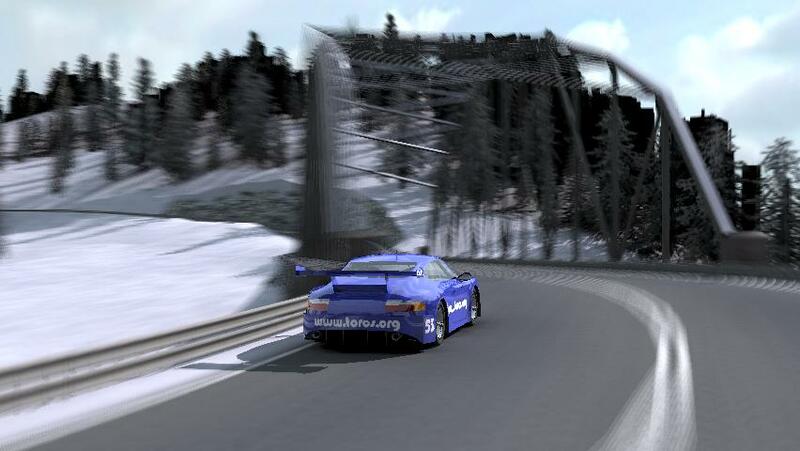 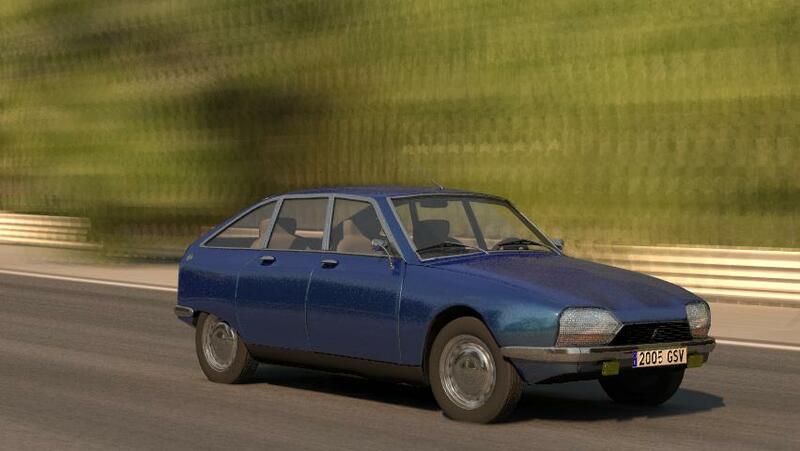 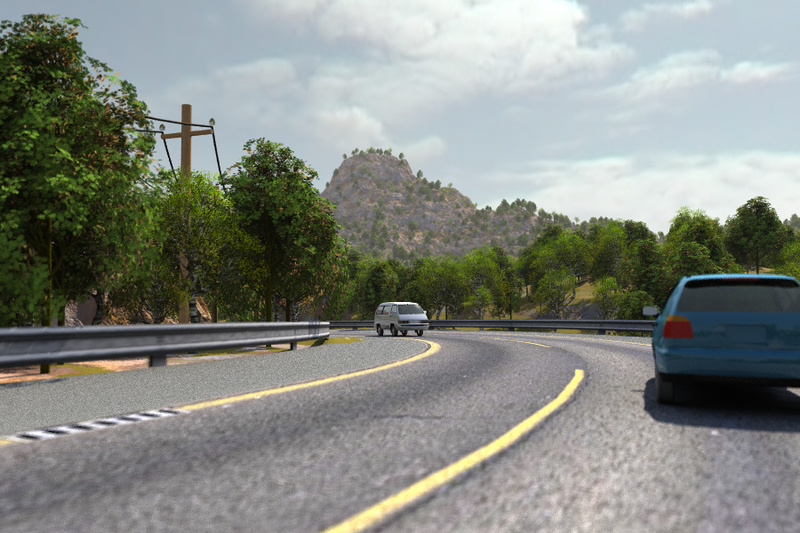 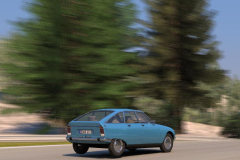 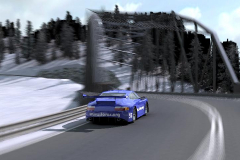 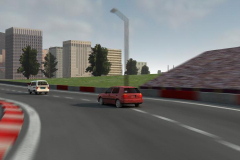 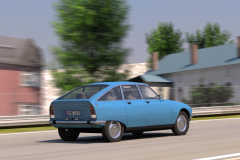 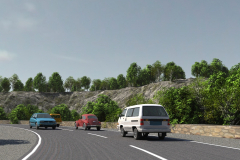 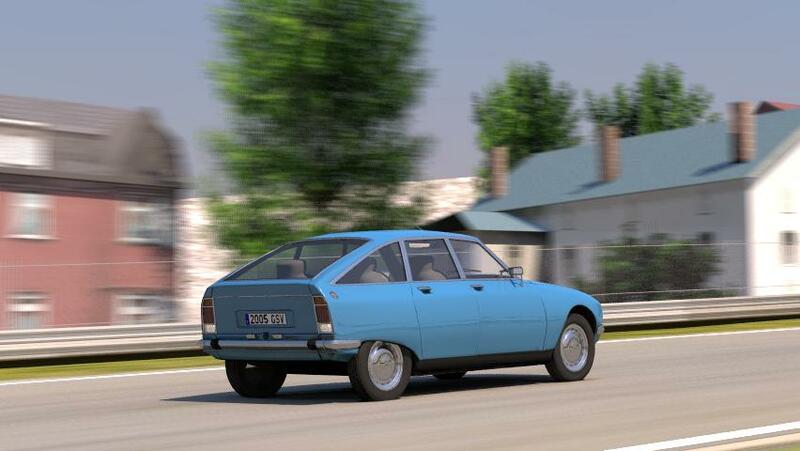 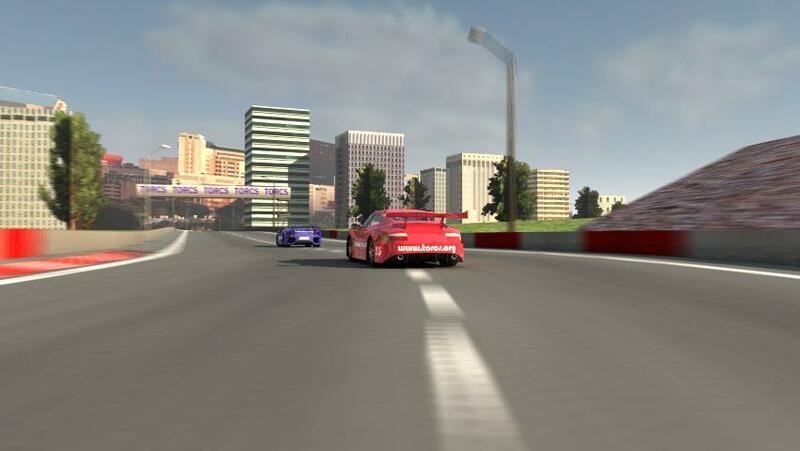 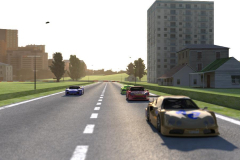 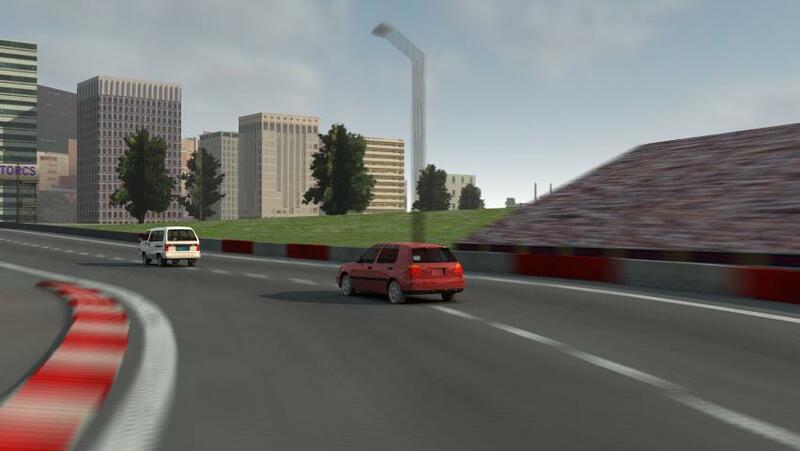 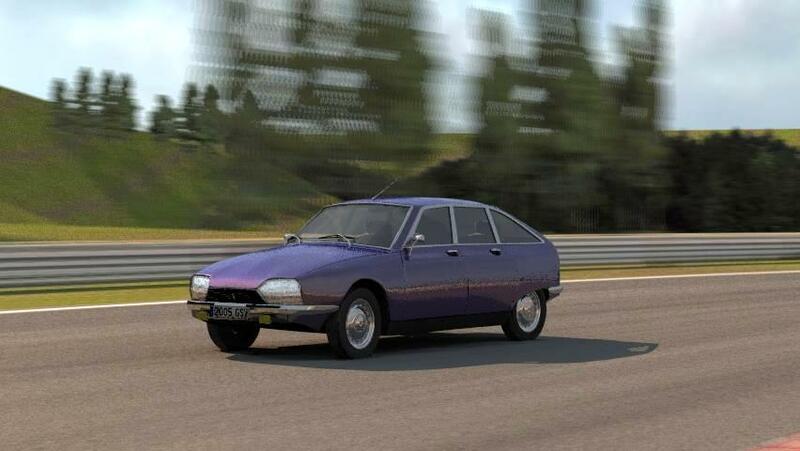 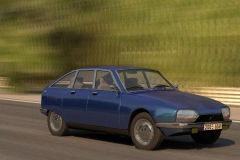 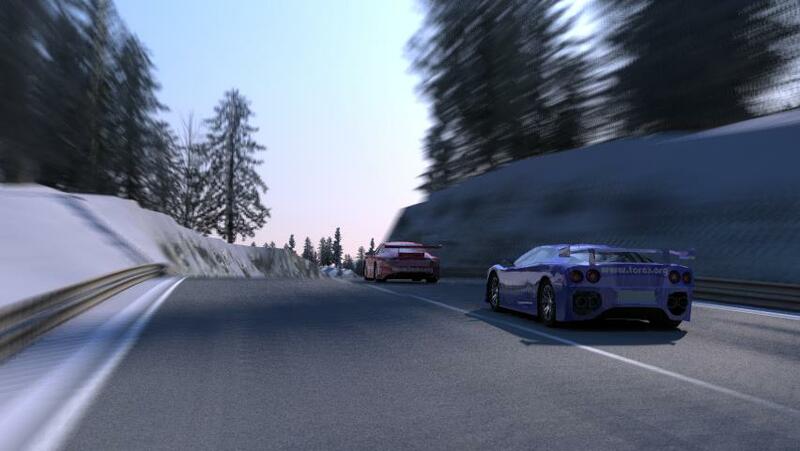 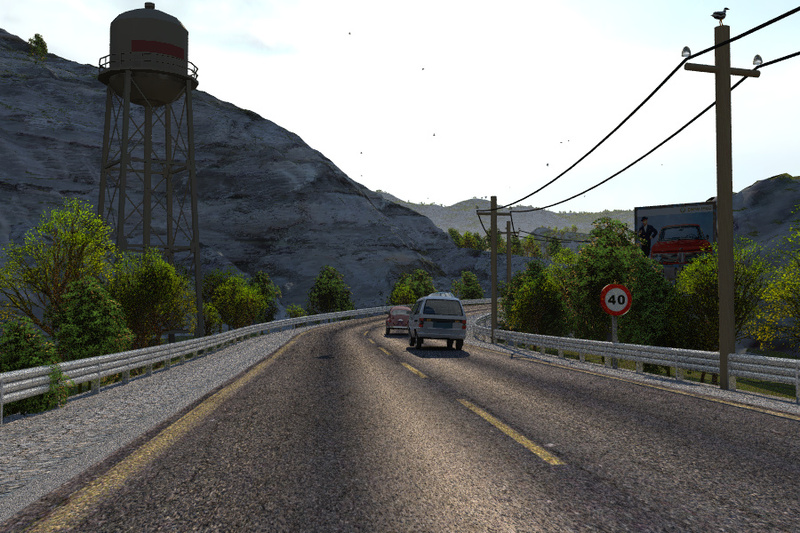 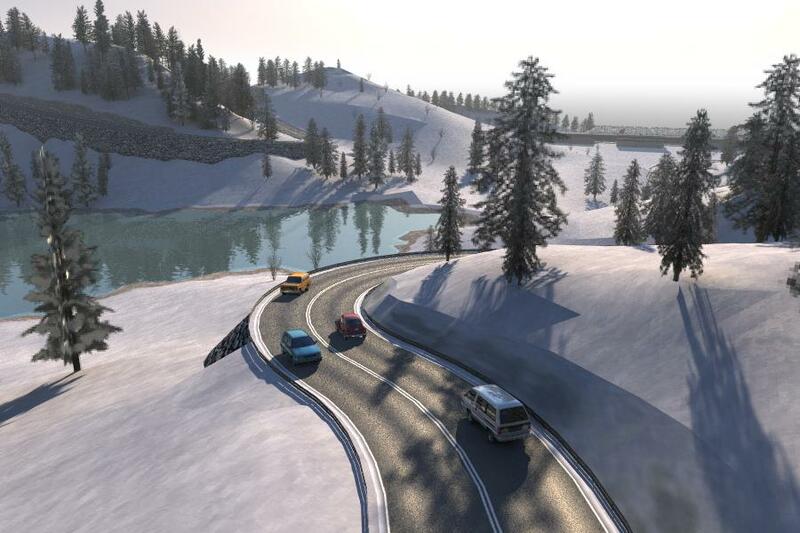 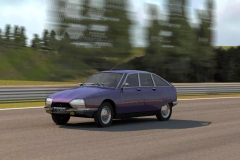 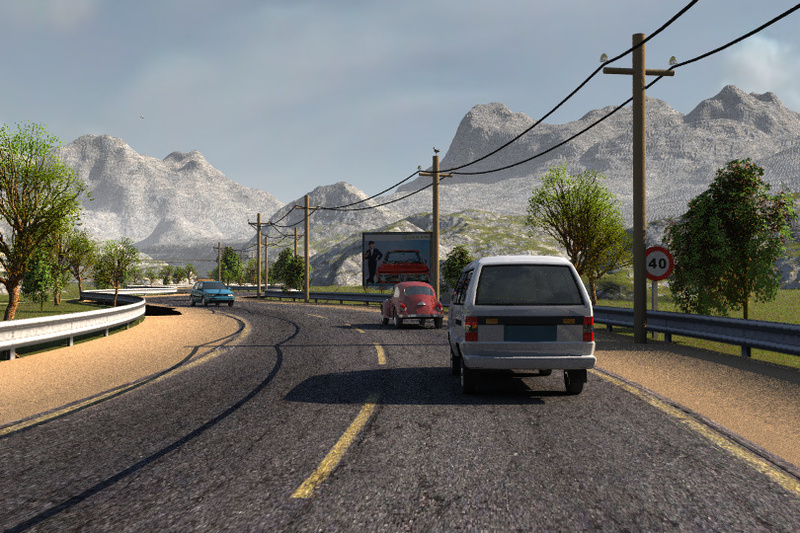 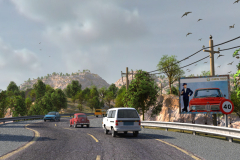 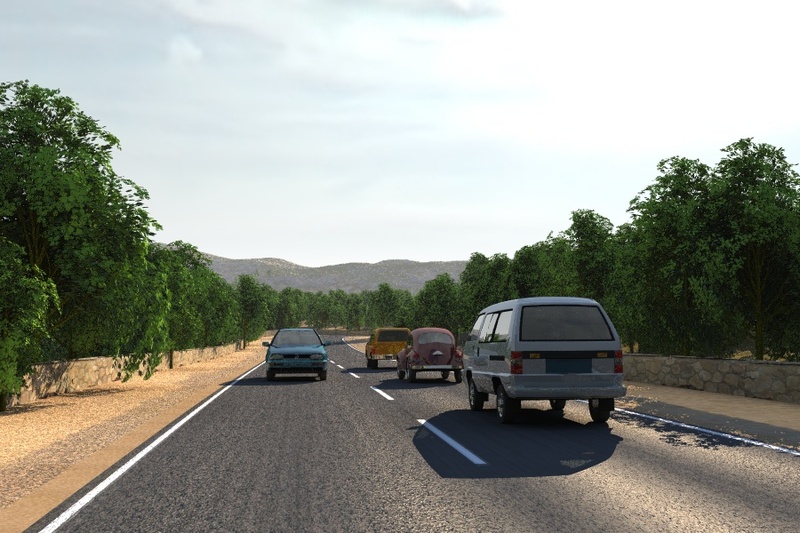 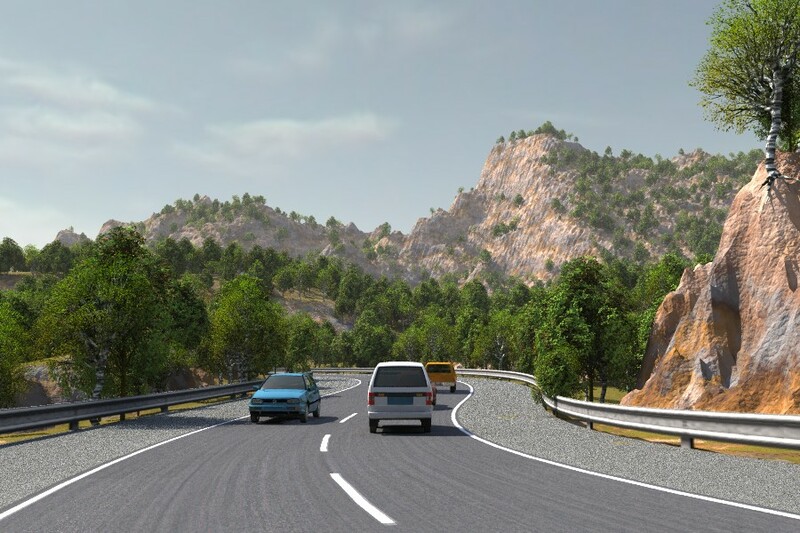 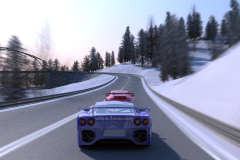 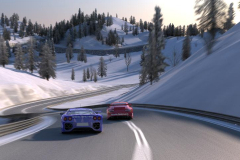 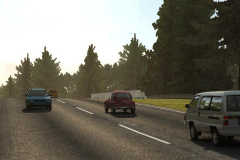 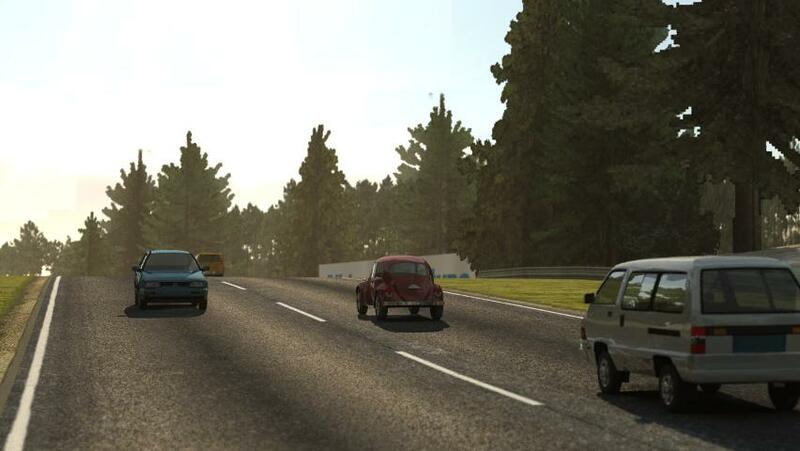 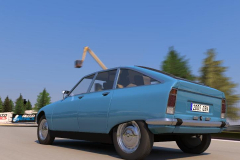 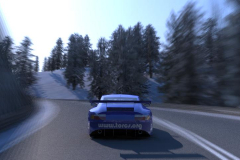 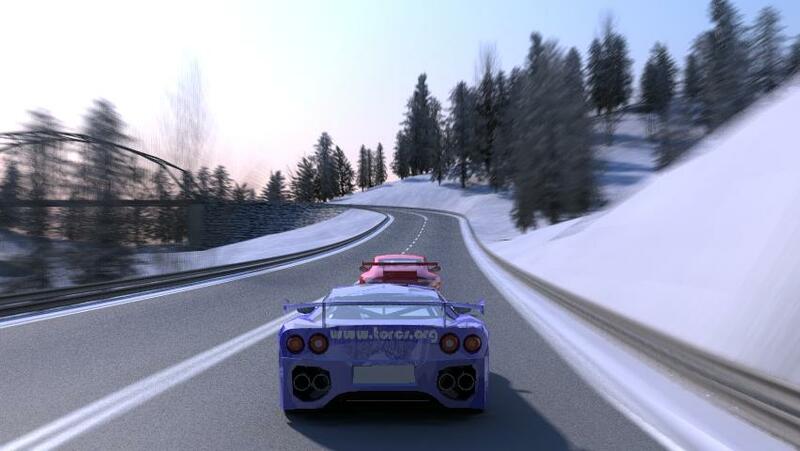 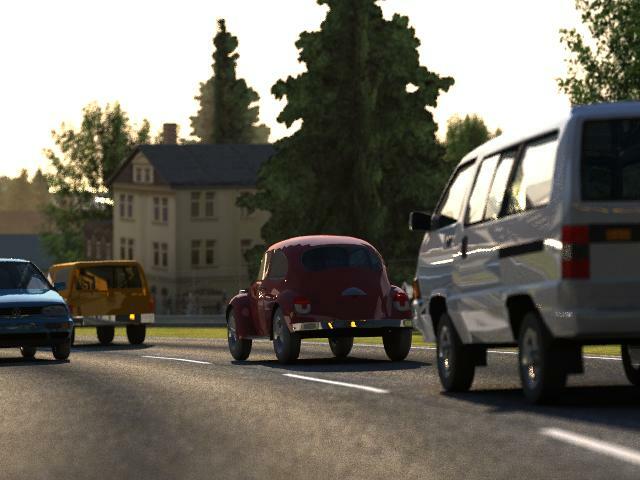 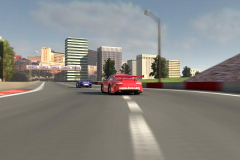 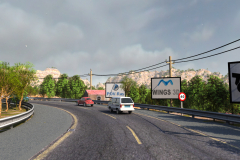 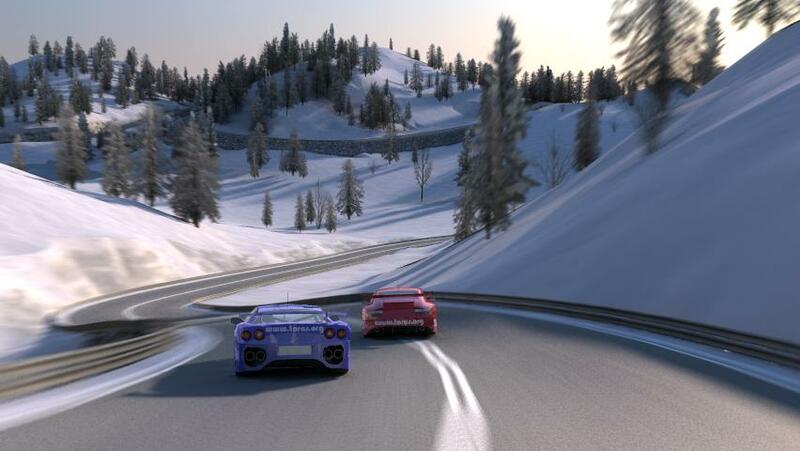 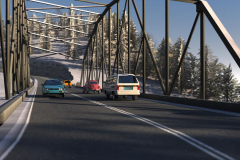 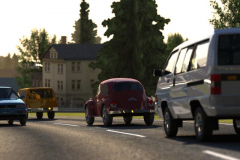 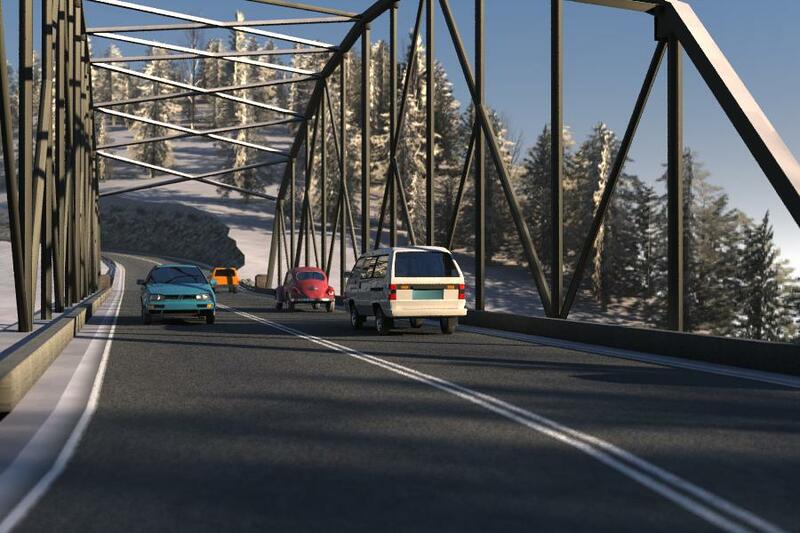 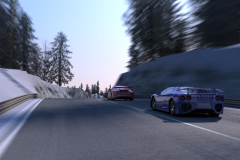 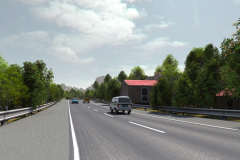 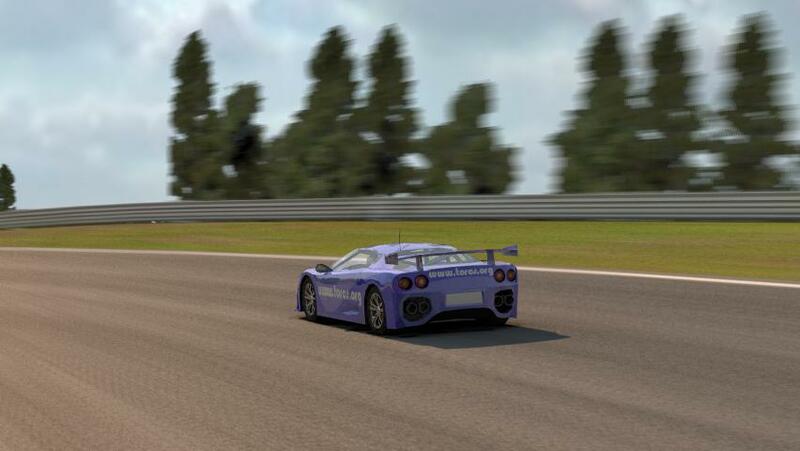 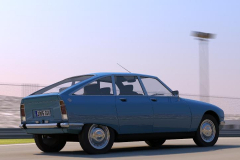 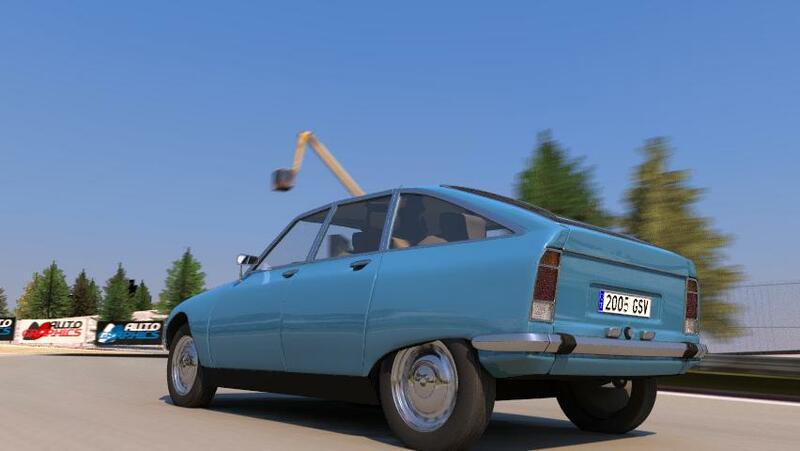 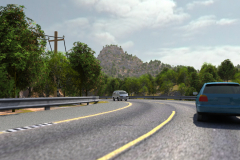 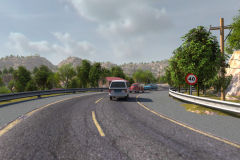 Years ago, when I found The Open Racing Car Simulator, I was looking for an open source racing game which will let me export the tracks to POV-Ray, so I could render some realistic road traffic scenes. 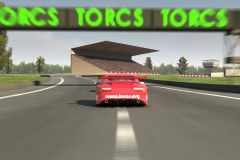 TORCS looked like a very good candidate, and indeed it was possible to export the geometry to POV-Ray via Blender, but I didn’t find any automatic way to get a spline for the track path (so that I could place the cars and camera). 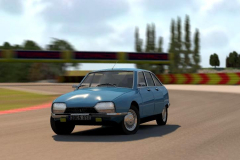 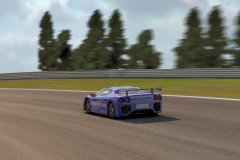 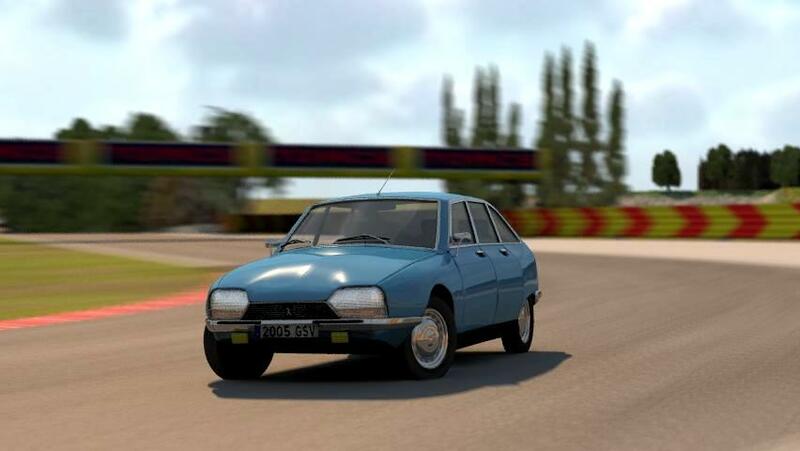 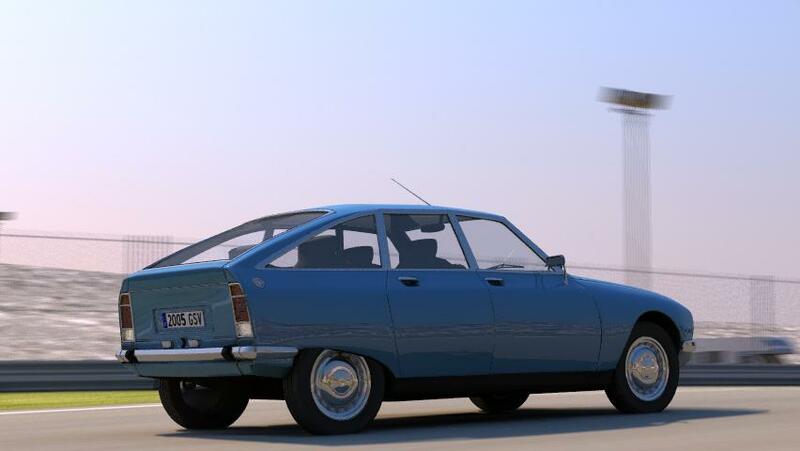 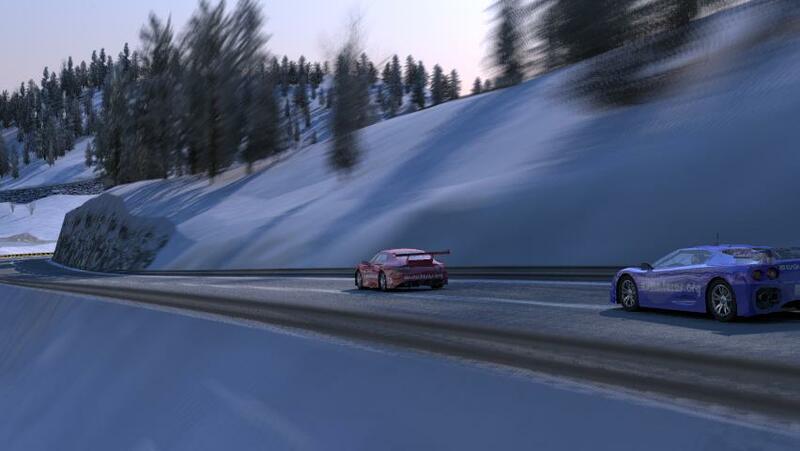 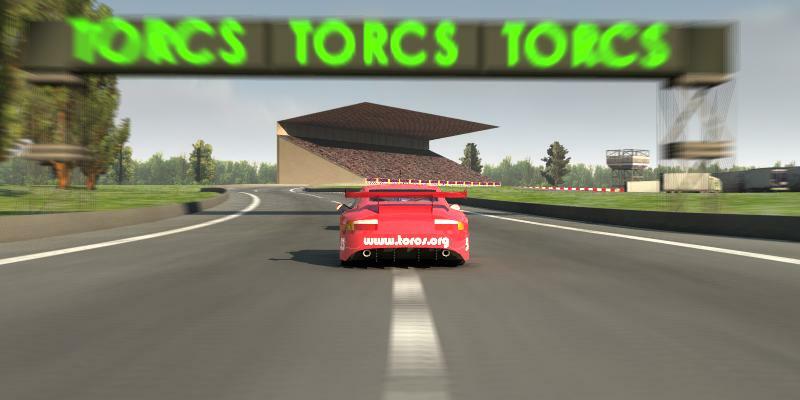 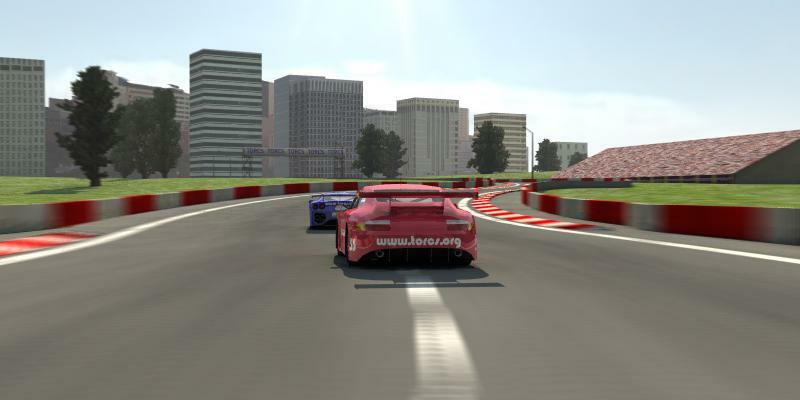 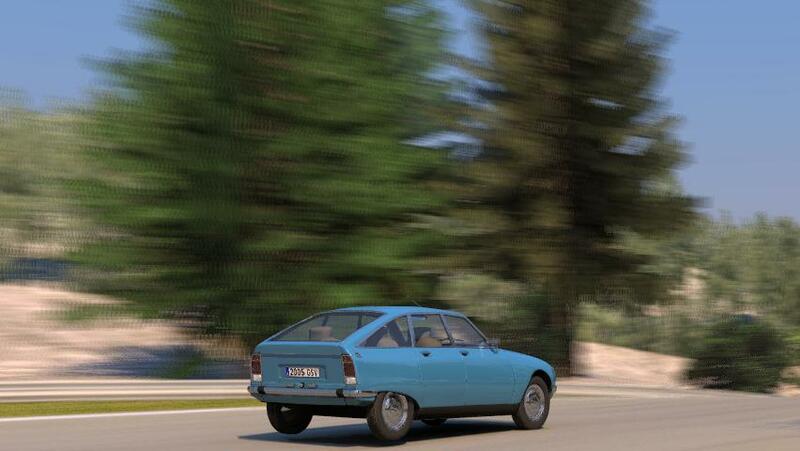 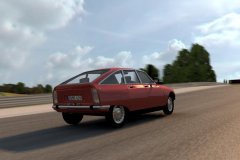 I then abandoned the project and started to get addicted to racing with TORCS… it’s really fun! 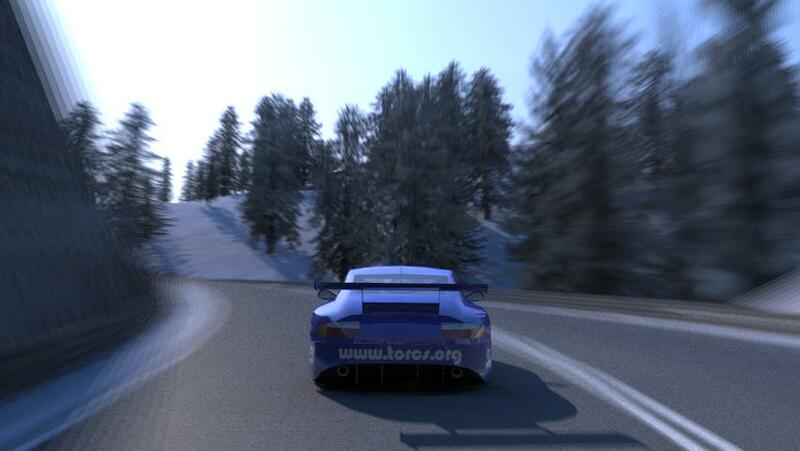 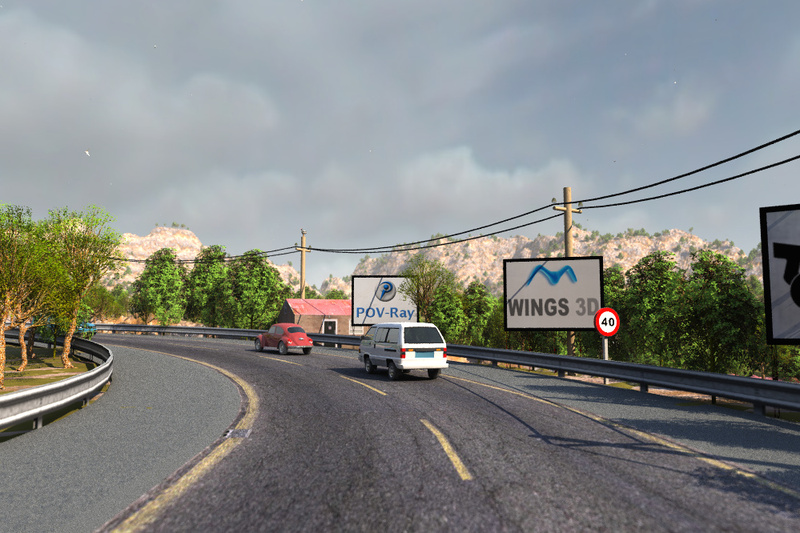 But recently I figured out a way to get the track spline into POV-Ray, via Wings3D. 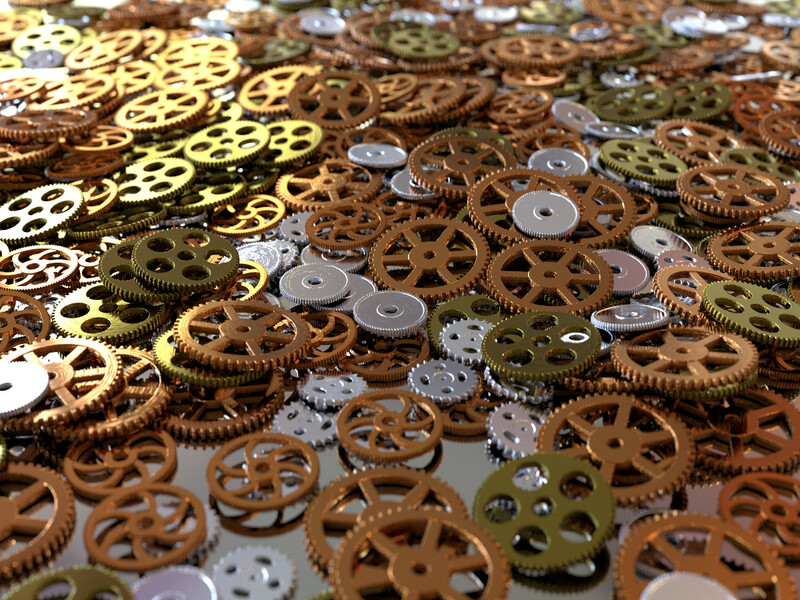 The method is bit convoluted, but consists basically in reducing the track to a single face with hundreds (or thousands) of vertices, which once exported can be transformed easily into an array, and then into a spline. 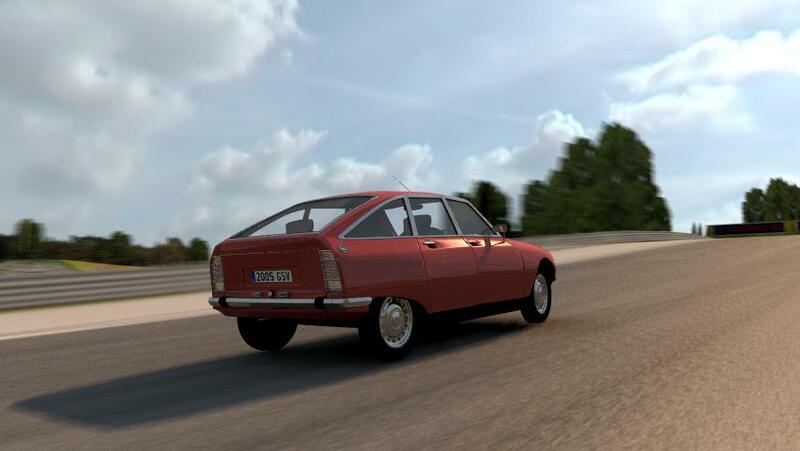 I still have some problems, but the results are starting to look good …and there is still a lot of room for improvement. 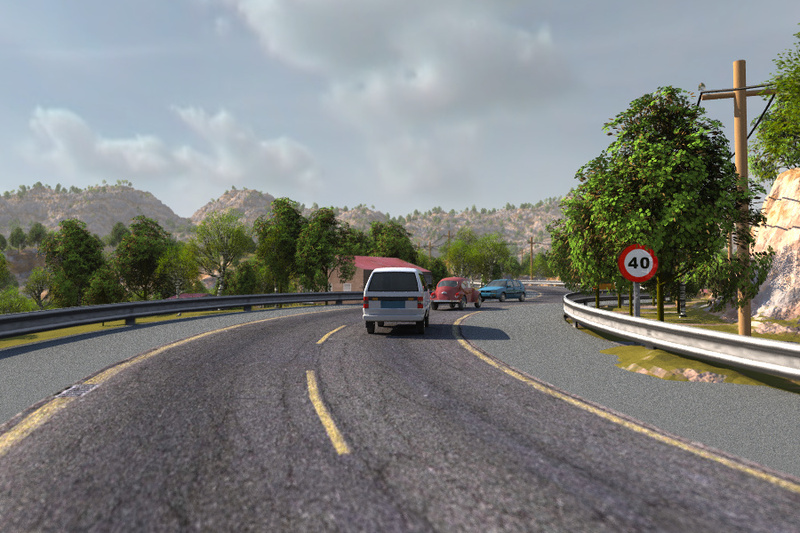 I finally abandoned this project… I know I promised a tutorial about the technique, but anyhow no one asked for it, so I guess there is not much interest on it.